Posted by CNC Reporter on Oct 9th, 2015. 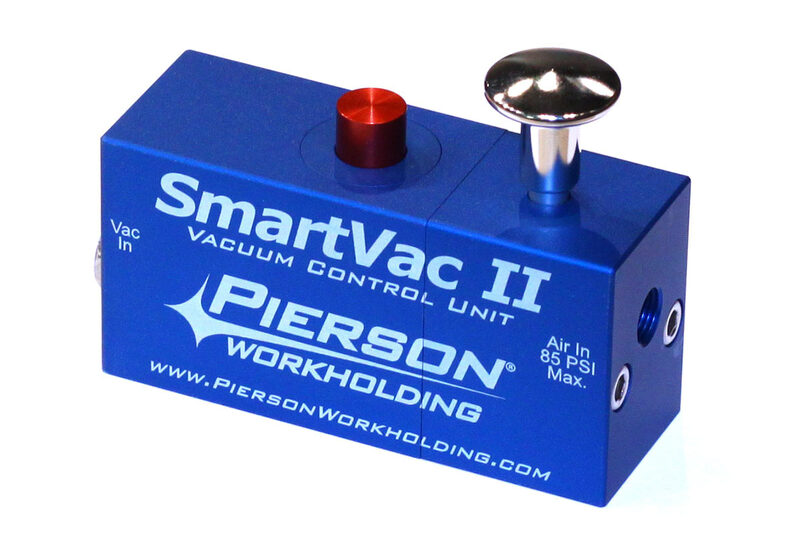 Pierson Workholding recently updated SmartVac 2 series of vacuum pumps to a cleaner design. The newly redesigned Vacuum Control Unit (VCU) still boasts performance vacuum power of 28″ Hg with extremely efficient air consumption of only 0.8 SCFM. 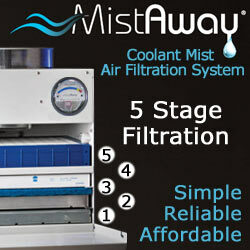 The unit creates this deep vacuum from compressed air entering at 85psi… yes, magical, we know, but still don’t get it. Anyway, the VCU doesn’t require a tank, filter, coolant trap or an electrical connection making it an ideal fit as a vacuum pump for CNC milling applications since it is unaffected by swarf, coolant and small chips that would otherwise wreak havoc on traditional rotary vane pumps. 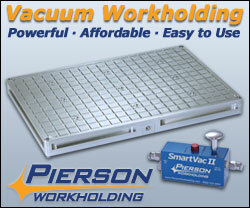 The VCU is available for purchase online at http://store.piersonworkholding.com and be sure to check out their complete line of vacuum table turnkey starter packages as well.